I have a thing for French macarons. Of course, I have been completely spoiled since the majority of my macaron experience has been Ladurée and Pierre Hermé (the best of the best). 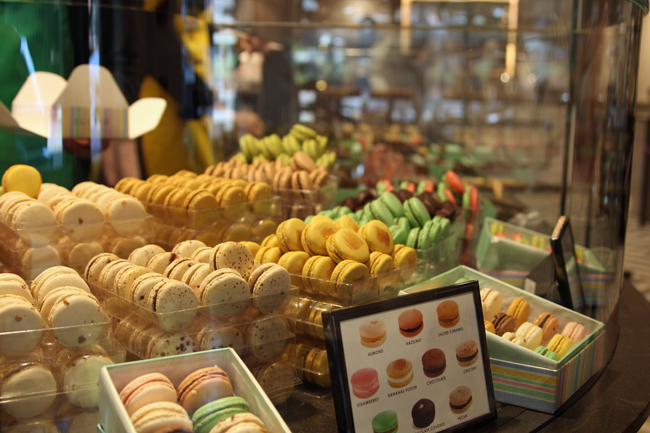 Unfortunately the US has a distinct lack of macarons available. 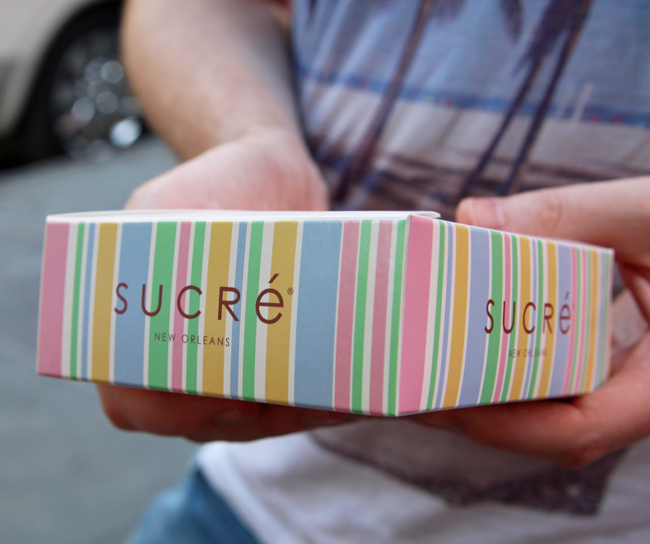 I know there's a Ladurée in New York, but they do not ship...very disappointing. 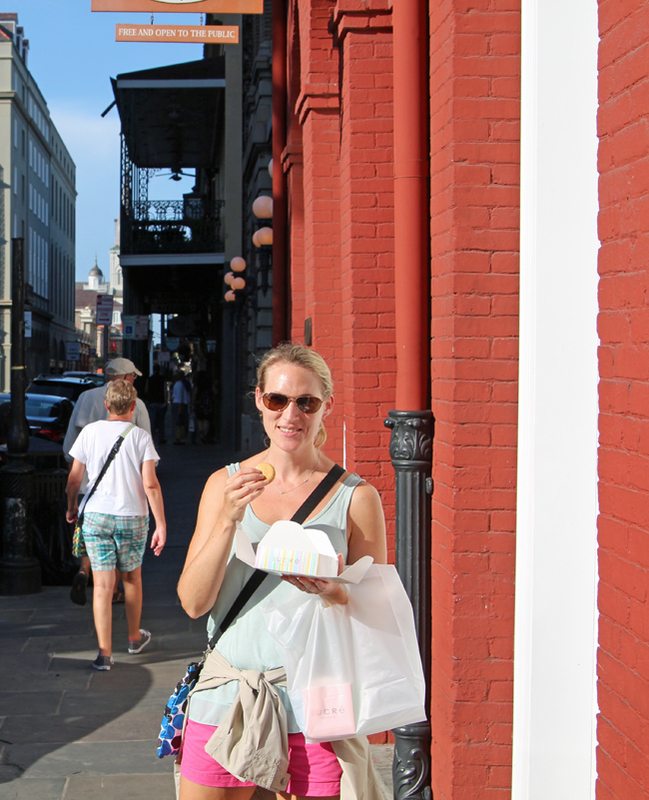 When I read about Sucré macarons in New Orleans I got very excited and knew the French Quarter shop would be on my must visit list on my next trip to the Big Easy. 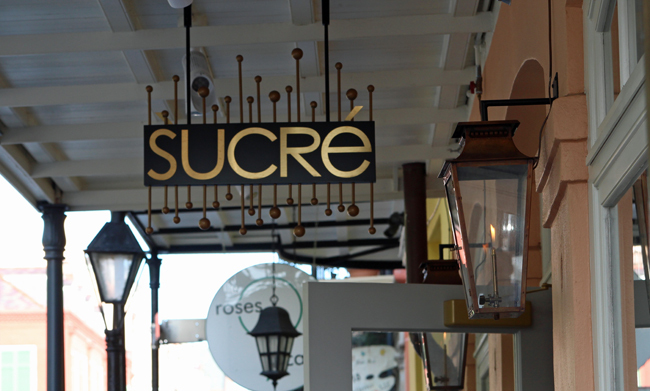 So, right after we finished our drinks at Pat O'Brien's, we headed straight to Sucré on Conti Street. The window displays assured me I was definitely in the right place! We went right in and started ordering. 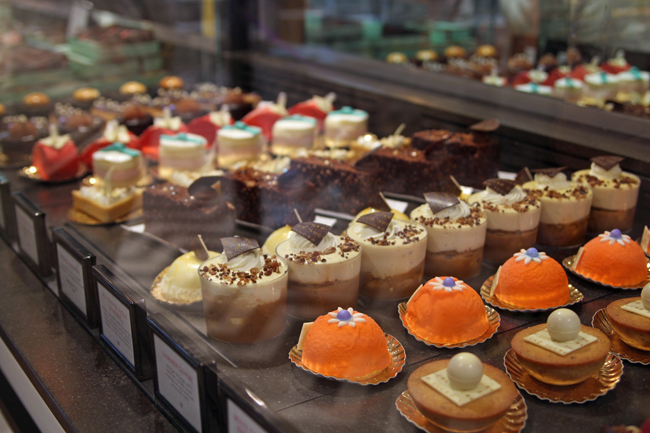 The cool thing about Sucré is that they have several regional flavors - chickory, pecan, peaches and cream and praline to name a few. 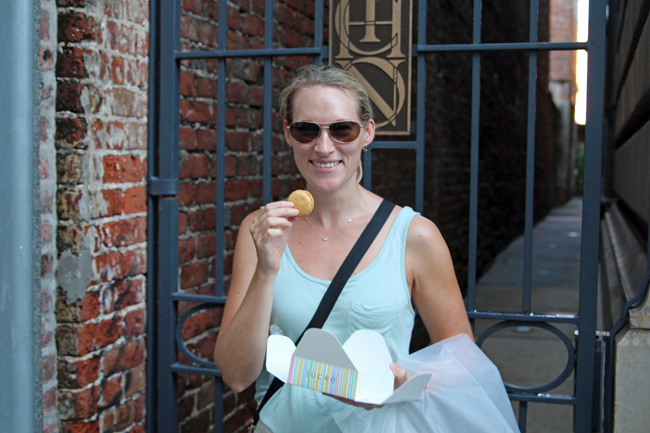 Finally, with our box full of macarons we left the shop and barely made it outside before we dug right in! I was not disappointed! Each one was delicious. I don't know how they get the intense flavors they do into macarons, but each bite is decadent. 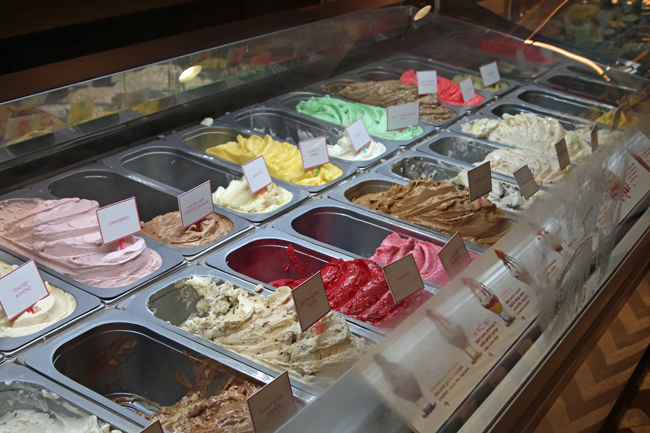 Although they were all amazing, my favorite flavors were chickory (I love anything coffee flavored) and the salted caramel. 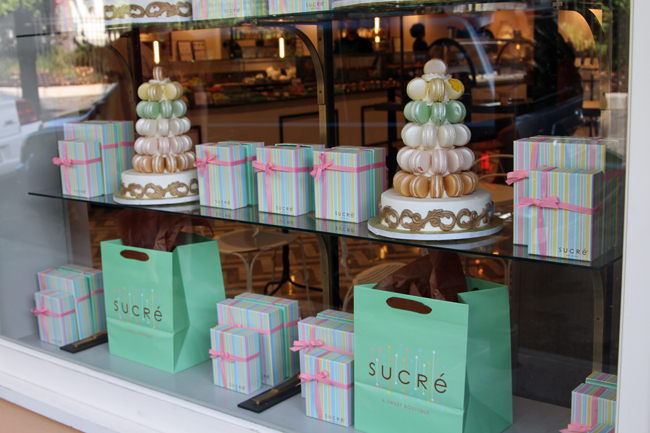 I know that Sucré will be added to my must visit list when I'm in New Orleans from now on, but the best part is you can order their macarons online. I'll most definitely be placing orders once the school year gets busy!